In 1818, the aspiring young Hungarian sculptor István Ferenczy set out on a journey to Rome. * Previously, he had spent four years in Vienna learning to make iron stoves (his father’s profession), but had also attended classes in anatomy and engraving at the Academy of Fine Arts. He did the latter in secret: when writing home, he pretended he had visited the Academy out of curiosity but finally given up. His parents wanted him to choose a ‘real’ profession, one that would provide him with a stable living. Making stoves was well suited for that purpose – art not so much. Patronage of the arts was scarce in early-19th-century Hungary, and artists could not expect to receive large commissions. Sculptors eked out a living by decorating buildings or gardens. Ferenczy, however, strove for more. In 1818, finally revealing his decision to his parents, he declared he wanted to become a real artist, superior to those handworker-like sculptors. 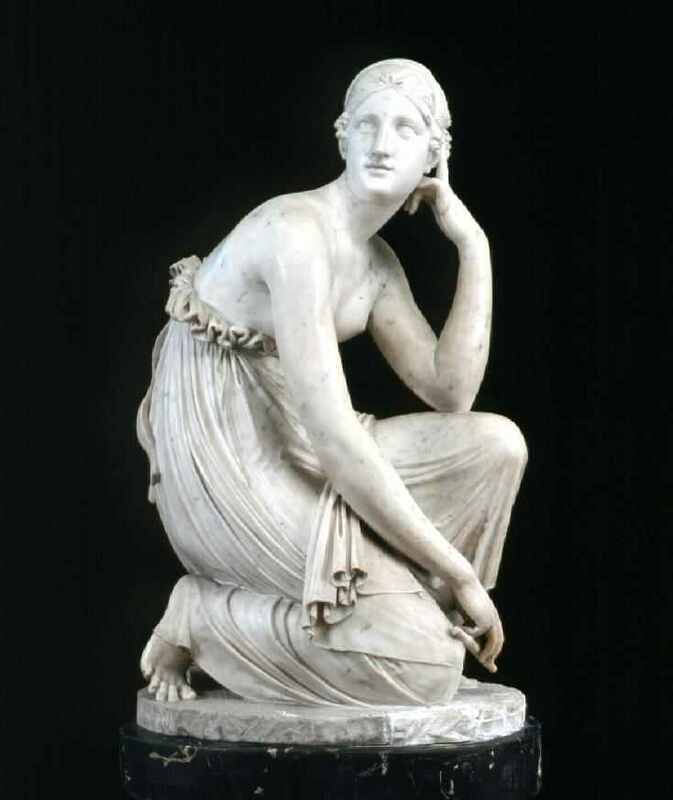 He wanted to study in Rome with Antonio Canova, the greatest Neoclassicist, and to subsequently establish the high art of sculpture in his homeland. His parents had no choice but to accept his wish. In 1846, a disillusioned Ferenczy, by then a broken man, destroyed the sculptures and models left in his studio in the city of Buda and moved back to Rimaszombat, his town of birth (then in Northern Hungary; today Rimavská Sobota, Slovakia), willingly isolating himself from Hungarian art life. He died in 1856, and asked for his last sculpture, a life-size figure of the dying Eurydice, to be buried with him. On the base of the statue, on the ground, he inscribed the names of the Hungarian counties that had voted against his planned monument to King Matthias Corvinus – a grand project which would have been Ferenczy’s greatest achievement, but which never materialised due to some resistance and mainly lack of interest on part of his audience. The events between these two dates can be interpreted from multiple viewpoints. Ferenczy’s ultimate failure is sometimes ascribed to his lack of talent; maybe he was not capable of as much as his ambition demanded. The sculptor himself, however, never doubted his own artistic genius, blaming the circumstances – the meagre possibilities offered by early-19th-century Hungary – instead. In this post, I will try to trace how he came to identify with Eurydice – the mythological woman bitten by a snake and swallowed by the underworld. To borrow the title and leitmotif of Salman Rushdie’s novel: Eurydice was betrayed and killed by the ground beneath her feet.